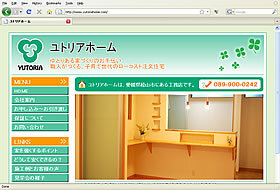 Home construction company based in Matsuyama, Ehime. This was a really good experience! Our website looks great and we really like the flash slide show on the home page. Everything was better than we ever expected and Jeremy was very helpful throughout.